Candied Coral : An orange-y shade with a bit of pink. Terra Crave : A warm, almost brown-ish spice-type shade. Tropical Frenzy: A bright fuchsia pink. These Jordana Balm Stains are definitely comparable to the Revlon Balm Stains and I think they actually moisturize better. 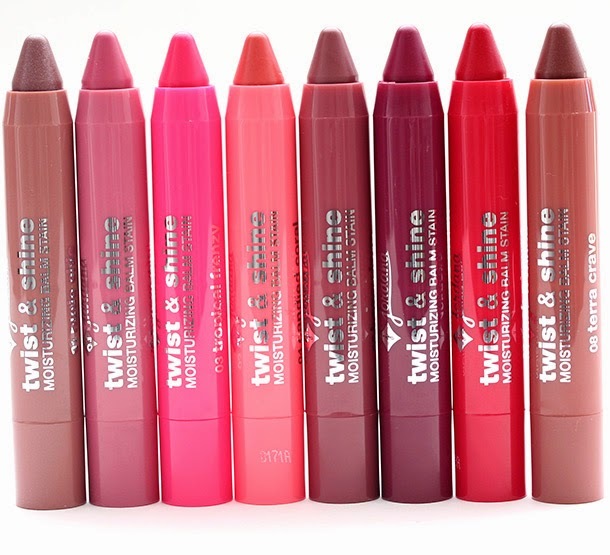 These are amazingly pigmented Glossy Chubby sticks which glide nicely and easily on lips without requiring too much effort. The glossiness last for about 3-4 hours then fades leaving the stain which can last up to 10-12 hours or more depending on the shade. The darker the shade the more staining power it has and the longer it stays. 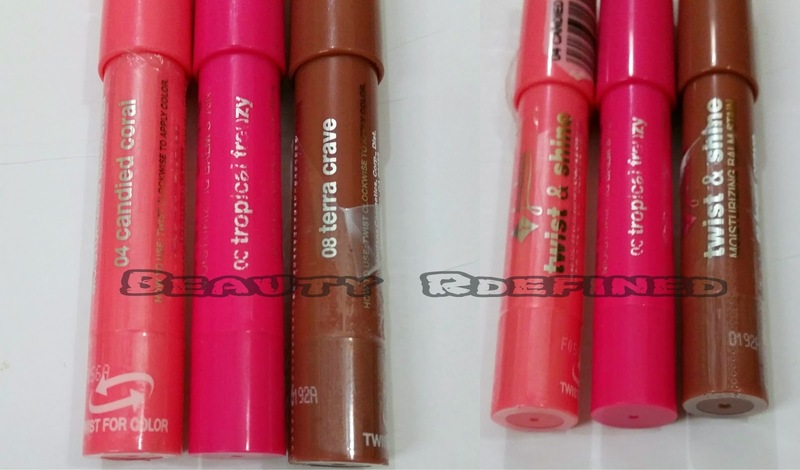 They are quite moisturizing, hydrating and is good for those having dry lips. They have a sweet fruity scent which is delicious, however the smell fades away after its applied. Another great thing about these sticks is that they are retractable and you dont need to go through the hassle of sharpening them. 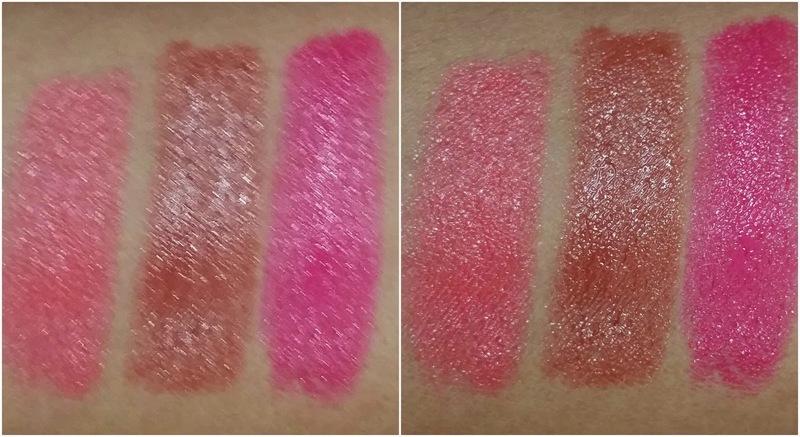 Even though the lighter shades on these stains are not suitable for my pigmented lips, I really love these balms. They are all highly hydrating and don't need any type of lip balm underneath. I really find them a value for money product and recommend them wholeheartedly. What do you think of these moisturizing balm stains? Will you be trying any? 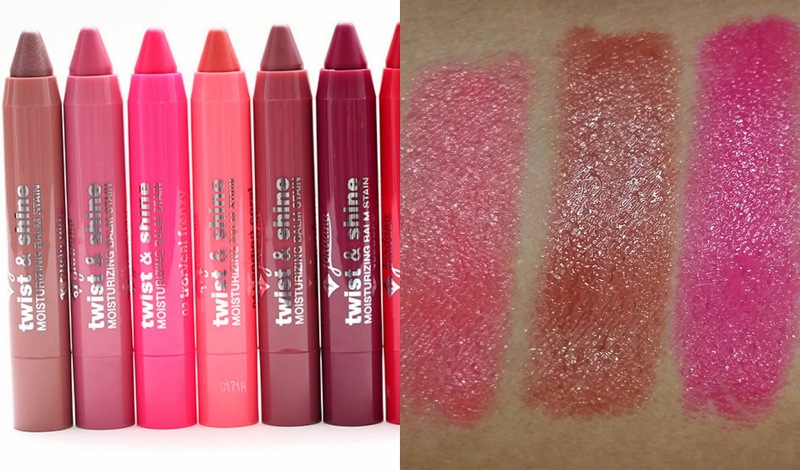 wow you got three lovely shades... <3 I am so in love with my jordana twist and shine balm in shade "Honey love"
Pretty shades. I like candied coral the best. wow they moisturise better than revlon? surprised!